Reduce the stress of studying English and help your child with their homework! 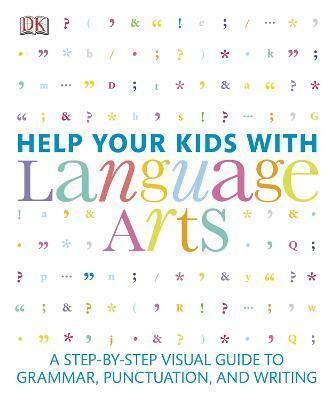 The perfect guide for parents who want to assist their children with schoolwork, Help Your Kids with Language Arts is designed to make all facets of studying the English language easy and interesting. Presenting the ins and outs of English in a clear, visual, and accessible style, Help Your Kids with Language Arts covers everything from the basic concepts of grammar, punctuation, spelling, and communication skills to some of the more challenging ideas that face students today. DK Publishing was founded in London in 1974 and is now the world's leading illustrated reference publisher and part of Penguin Random House, formed on July 1, 2013. DK publishes highly visual, photographic nonfiction for adults and children, and produces content for consumers in more than 87 countries and 62 languages, with offices in Delhi, London, Melbourne, Munich, New York, and Toronto. DK's aim is to inform, enrich, and entertain readers of all ages, and everything DK publishes, whether print or digital, embodies the unique DK design approach. DK brings unrivaled clarity to a wide range of topics with a unique combination of words and pictures, put together to spectacular effect. It has a reputation for innovation in design for both print and digital products. DK's adult range spans travel--including the award-winning DK Eyewitness Travel Guides--history, science, nature, sport, gardening, cookery, and parenting. DK's extensive children's list showcases a fantastic store of information for children, toddlers, and babies. DK covers everything from animals and the human body, to homework help and craft activities, together with an impressive list of licensing titles, including the bestselling LEGObooks. DK acts as the parent company for Alpha Books, publisher of the Idiot's Guides series and Prima Games, video gaming publishers, as well as the award-winning travel publisher Rough Guides.